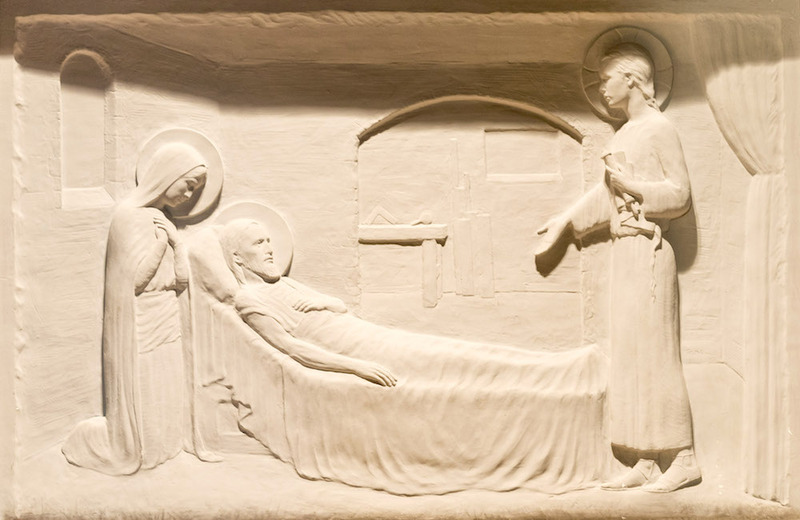 This Death of Saint Joseph relief adorns the chapel of the Dominican House of Studies in Washington, DC. For over 100 years, the Dominican Friars have remembered souls enrolled in the Deserving Poor Boys’ Purgatorian Society in their Masses and prayers. Donations made in the names of the faithful departed help prepare young men for Dominican religious life. The Dominican Friars offer the Holy Sacrifice of the Mass daily for souls enrolled in the Deserving Poor Boys’ Purgatorian Society. Donate to the Deserving Poor Boys Purgatorian Society by using the secure form below. After you make your offering, you will be redirected to a page where you can enroll a deceased loved one in the Purgatorian Society. After completing your donation, you will be redirected to a page where you can enroll your loved one in the Purgatorian Society.